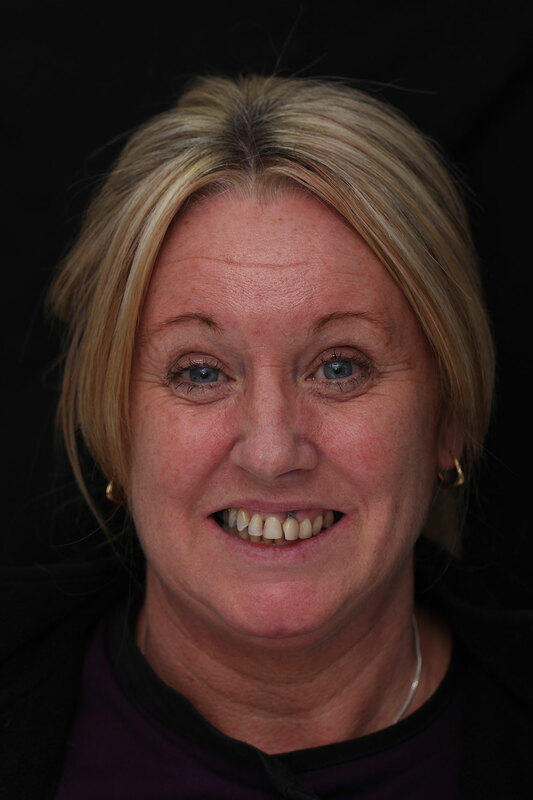 This lady had a dental implant placed overseas which unfortunately immediately failed and left a very unsightly appearance. In addition she did not like the size, colour and shape of the other teeth. The old implant was removed and a bone graft carried out to repair the damage. 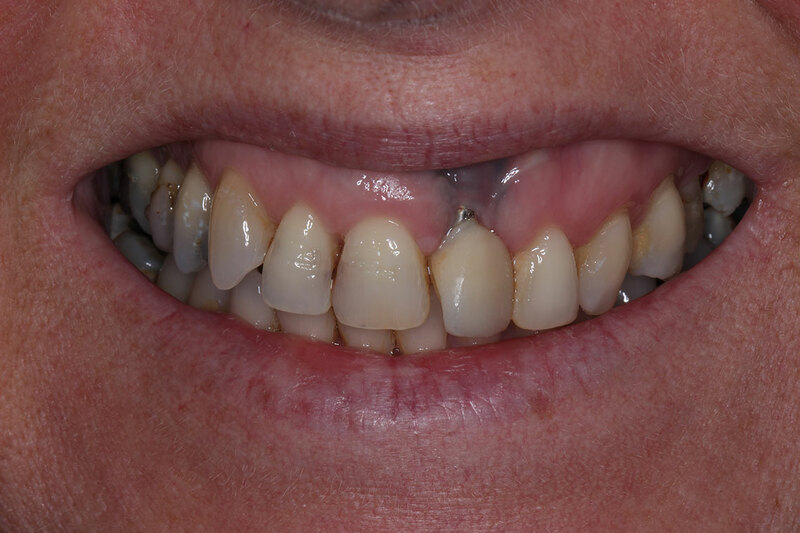 A new implant was then placed and the teeth whitened. 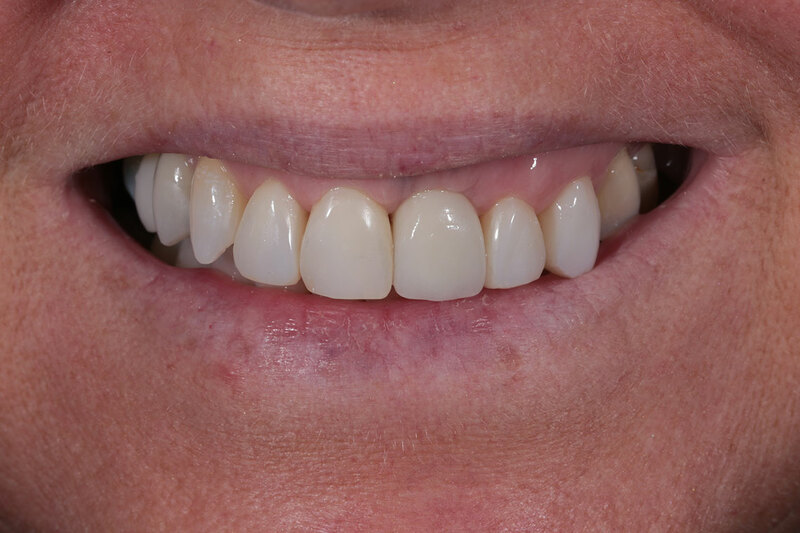 Finally direct composite bonding was carried out on the upper anterior teeth.